More than likely, your real estate agent is going to advertise your Open House. They might put something on their website, in the newspaper, or even on the MLS. Why not set the stage BEFORE the open house? Ask your real estate agent to add one small line to the advertisement, “Open House Sunday 2-4. Identification will be required to view the home.” Adding this one line is like adding a security sign to your front yard. It is a deterrent. It shows would-be burglars that you are aware and taking precautions to protect your home. Most criminals scanning the paper for targets will read this line and cross your address off of their list. Criminals prefer easy targets-unlocked doors, homes they’ve targeted before, zero confrontation, etc. By adding one simple line to your open house advertisement, you’ve taken one small step toward protecting your home. This tip is more controversial than the first, but stay with me…Why not set up a security camera during your open house? Laws are different in every country and every state so be sure to research the laws in your state or consult an attorney. So long as your open house guests know they are on camera and the audio recording feature is set to off, you should be okay in most states. While this tip may sound completely out of left field, I would equate it to a nanny cam, which isn’t that bizarre at all. It’s no different from being recorded in a restaurant or a department store. It is YOUR home after all and in most states you have the right to know what happens in your own home. Plus, with today’s technology there are numerous affordable and high quality options to choose from, making this one of the easier tips to implement. 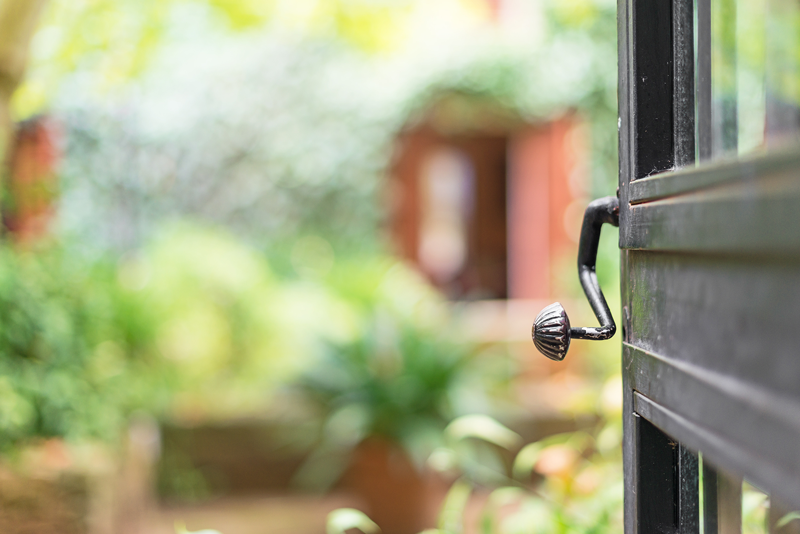 During an open house, your mind is probably focused on cleaning, selling, and perhaps even the safety of your home, but let’s take a minute to step back and think about the safety of your home AND your real estate agent. For safety purposes, it is best to wait at your home until your agent arrives and officially pass the safety baton to your agent. If you have a home security system, leave the key fob with your agent. They can use the fob to trigger a panic alarm with one click if they feel threatened or suspect suspicious activity. Also, ask your agent if you can help them close up at the end of the open house. Together you can check all areas of your house including closets and your backyard. I also suggest double checking the locks on windows, doors, garages, and sheds to make sure they are secure. You can feel great knowing that you are protecting your home and belongings, but also taking steps to protect your agent. Multiple sources suggest that your agent have potential buyers sign a guestbook. What good is that going to do? It may help your real estate agent build a future client list, but it isn’t going to keep your home safe. If you followed my first tip, why not back your warning with some action? Instead of a guestbook (or in addition to a guestbook), ask your agent to take a picture of the provided photo identification. Many agents may push back on this tip because open houses are a source of potential buyers for an average agent and they don’t want to turn a buyer off. However, their desire for more sales should not impact your safety. TIP 5: Live Theatre or Online Drama? Which brings me to my final tip. Ask your agent how many homes they’ve sold at an open house. Most shows on HGTV makes it look like open houses are a quick and easy way to sell a home. And perhaps they are successful in some situations and areas of the country. However, a survey of agents revealed on Realtor.com, shows that surveyed agents agree that 62% of open house attendees aren’t serious buyers at all. There are plenty of ways besides an open house to market a home. An agent can use virtual tours, agent open houses, web sites, and even private showings to pre-qualified buyers. In the end, the choice is yours. Open House or No Open House?